Rev. 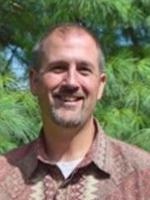 Dr. Bill Brown is an experienced Coach with a demonstrated history of working with clergy and staff in a variety of church settings. He is passionate about kingdom growth and the transformation that can take place in individuals and organizations. Bill’s approach to coaching involves both a horizontal and vertical dimension. The vertical dimension focuses on the fact that a church leader grounds their identity and vitality in their sense of call from God. Though coaching, the leader is helped to identify and access one’s sense of self and values as resources for ministry. The horizontal dimension focuses on the church leader being able to assess needs, set goals, and develop the stewardship of time and resources to meet or surpass their goals. A third element Bill emphasizes is resilience, which is a quality that can be nurtured in both persons and faith communities. Resilient leaders are committed, seek challenge, and take responsibility for their personal and professional lives. Bill is an Ordained Elder in the United Methodist Church and has served rural, city, and suburban churches in his 26 years of ministry. He is currently the Senior Pastor of Wesley Freedom UMC in Eldersburg Maryland, which is one of the largest Churches in the Baltimore Washington Conference. He has a Master’s of Divity from Wesley Theological, a Doctor of Ministry focused in Organizational Leadership from Drew University and is an Associate Certified Coach with the International Coach Federation. Bill is married to Michelle, who grounds and humbles him; they have a daughter, Torie, who amazes and impresses him every day. When not at church, you may find Bill reading and running.